Brenda Jacobs-LIL Rhody 2A Warrior - Legislative Outrages On The Horizon Plus! Upcoming State House Rally! | The Coalition Talk Radio Podcast! Brenda Jacobs-LIL Rhody 2A Warrior - Legislative Outrages On The Horizon Plus! Upcoming State House Rally! Brenda Jacob - Rhode Island Revolver & Rifle Association ( www.RIRRAI.org) affirmed her status as a "Repeat Offender" on the Coalition Talk Radio (3/15/19) Our current focus .. the wide array of "Common Sense" attacks on your right to bear arms ... from magazine limitations ... age laws ... and on and on and on and ... You Get It. Plus! 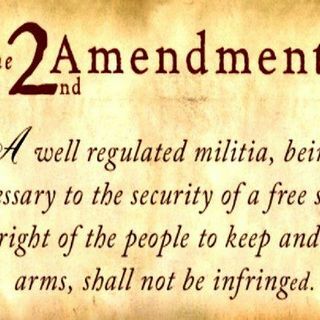 An appeal to join The Second Amendment Coalition at The Rhode Island State House Tuesday March 19, 2019 @ 3:30 Till? for the ... See More "Shall Not Be Infringed Rally"
Check Out Our Anti Corporate Welfare Pawsox Extravaganza!